This year I have added a few new elements to the Christmas lights. The lights I used last year for my grid have been split into 4 mini grids and placed on my front fence. I "invested" in new lights for the main screen. These new lights more than double the pixel density and increase the size of the screen slightly. In addidion, I rewrote the entire software stack (more about that another day), but the upshot of it was that I was able to interface with a website that allows people to enter their names and have them displayed on the lights. You can see it in action in the video below. 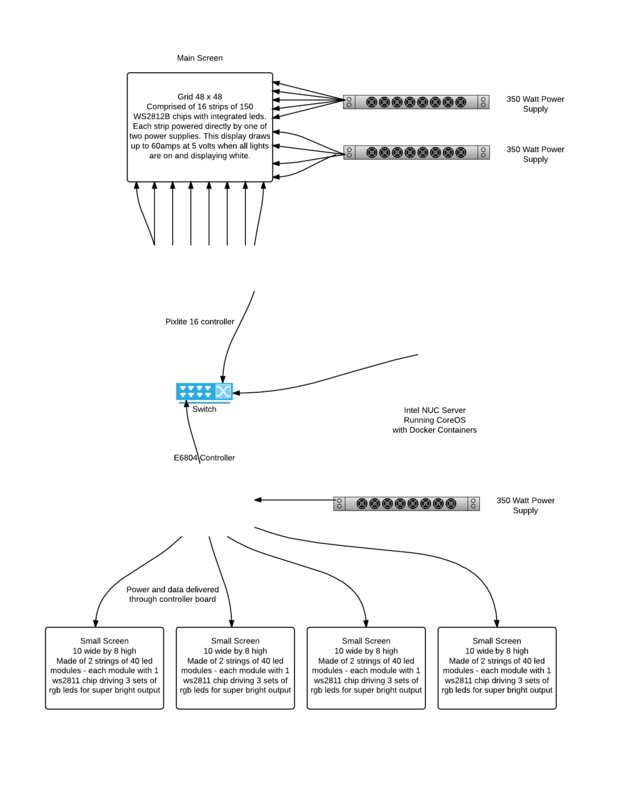 I have also put together an overview of the physical infrastrucutre used to implement this. At a later date I will go into more detail about the software involved.